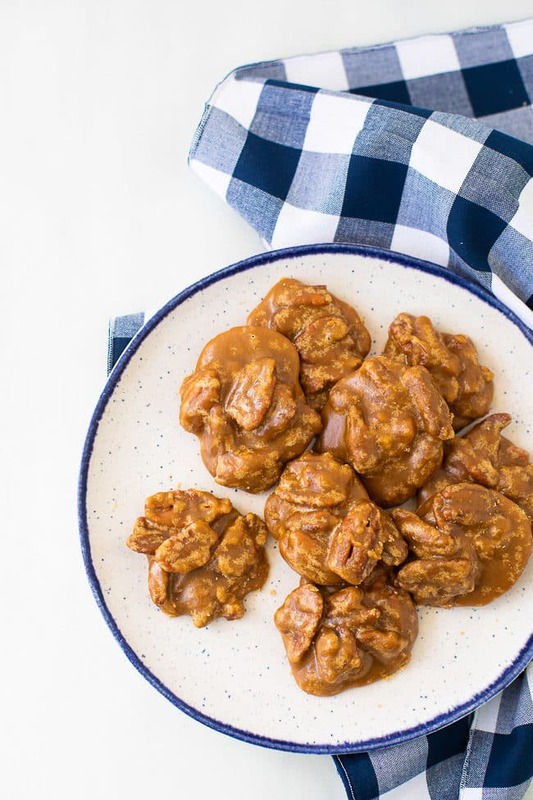 Have you ever tried old-fashioned pecan pralines? 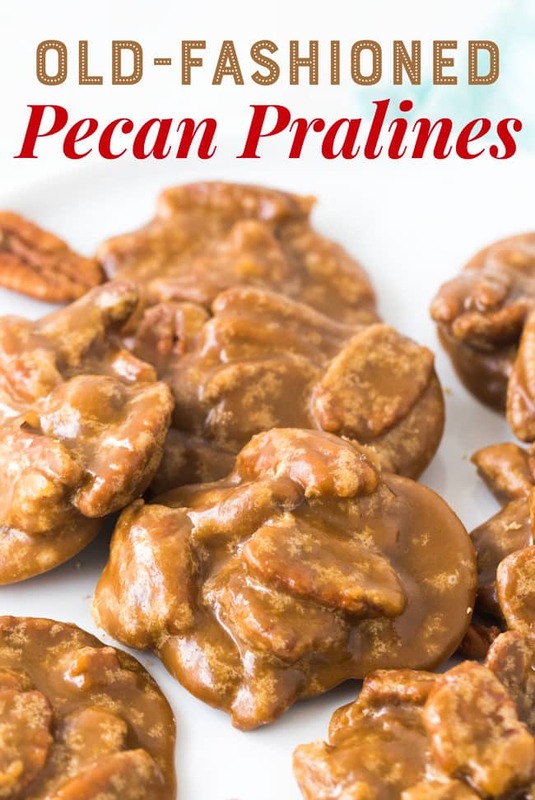 Sometimes called New Orleans pralines or southern pralines, these decadent little bites are loaded with sweetness and make a wonderful treat to share during the holidays. The first time I took a bite of one of these old-fashioned pralines, I had hearts in my eyes. I definitely have a sweet tooth, and if pecan pralines don’t satisfy yours then nothing else will. 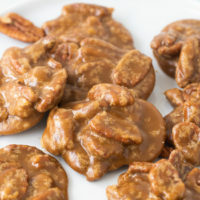 I love these simple southern pecan pralines because they are quite easy to make. 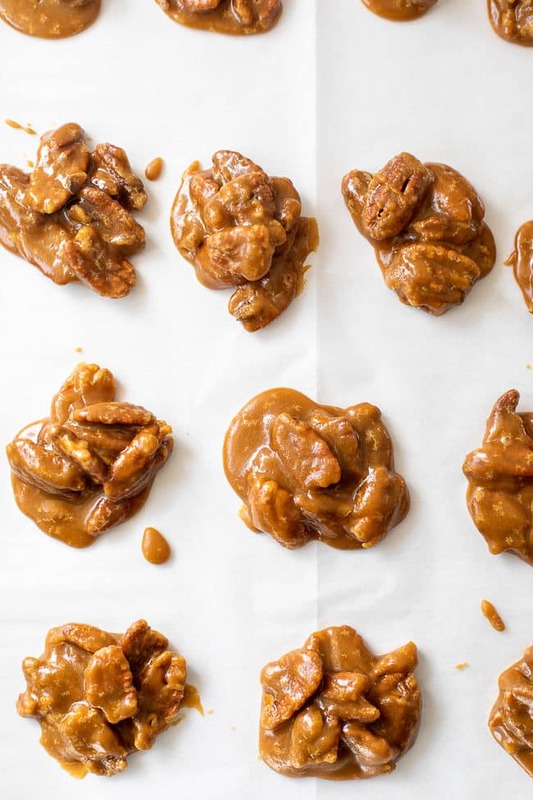 Even if you’ve been intimidated by candy recipes in the past, do give these old-fashioned pralines a whirl. You’ll be so glad that you did! I’m a total sucker for those old-fashioned recipes. Don’t miss my shoo-fly pie recipe and this amazing old-fashioned goulash. 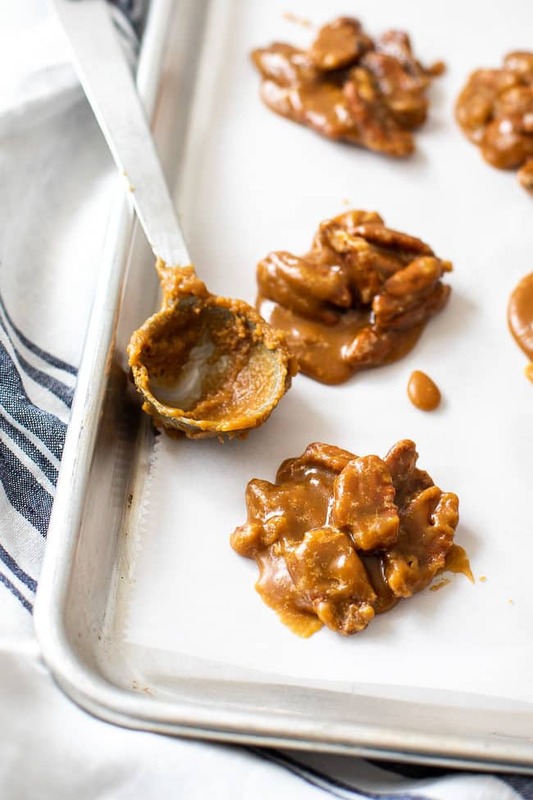 I’m going to be making batches of these quick and easy pecan pralines for the holiday season. I love them because they are easily stacked in a decorative Christmas tin. You can use sheets of parchment to separate the layers, although I’ve found that they stack nicely even without it. Admittedly, this is not an old family recipe. 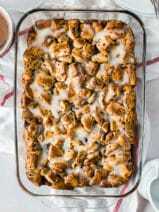 I found this old-fashioned pralines recipe in a recent issue of Taste of the South. It made me want to do a little digging online, and that’s when I found out about the history of New Orleans pralines. You can get a little history about this type of southern praline on this site. My biggest tip for making pralines is that you must utilize a candy thermometer. If you don’t have a candy thermometer, be sure to pick one up! Letting the praline mixture reach the appropriate temperature is imperative for your success. 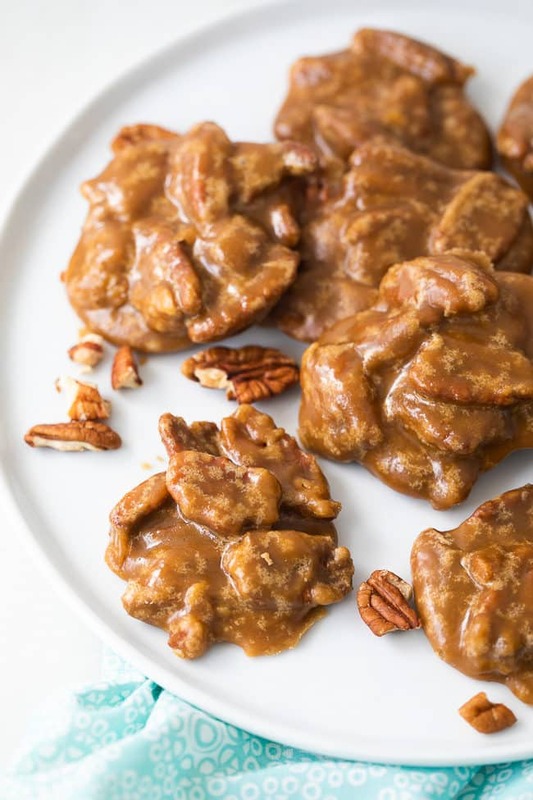 To make these easy pralines, you’ll need to have a few tasty ingredients on hand, listed below. 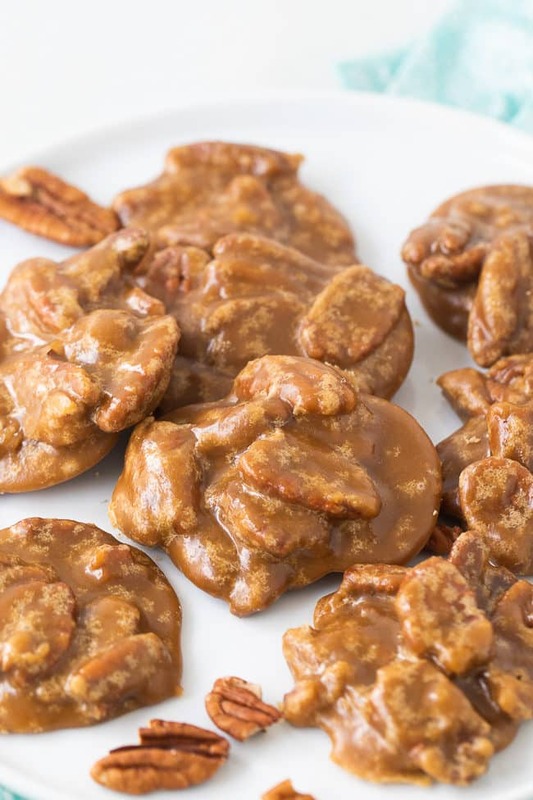 Yes, these old-fashioned pralines are basically sugar disks and they are SO tasty. Below is the basic method. Line a large baking sheet with parchment paper; set aside. In a medium saucepan stir together the sugars, heavy whipping cream, and the baking soda. Over medium heat bring to a boil stirring occasionally. Allow boiling until a temperature of 235 is reached. Remove from the heat immediately. Stir in the butter and the vanilla. Quickly add the pecans and vigorously stir for about 1 minute. 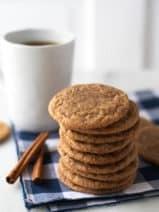 Drop by heaping tablespoonfuls onto the prepared cookie sheet. Here’s a tip, be sure you’re working quickly when dropping the cookies on the parchment paper as they will begin to harden quickly. 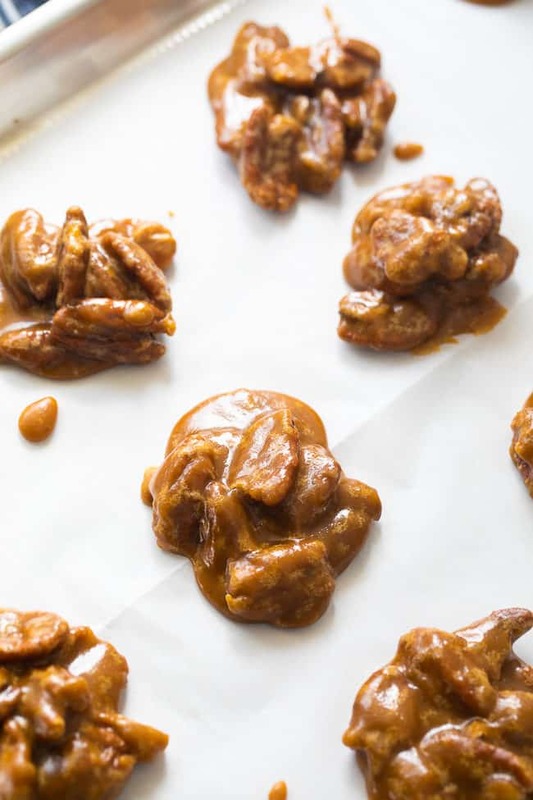 I hope you love these easy pecan pralines as much as I do! 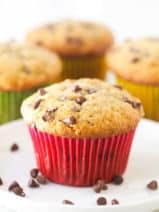 Be sure to pin the recipe and leave a comment on the post if you try them. For more great desserts try my famous coconut magic bars and these easy corn flake cookies. 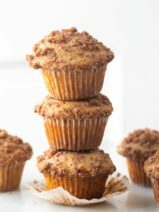 Satisfy your sweet tooth with these tasty old fashioned pralines! Over medium heat bring to a boil stirring occasionally. Allow to boil until a temperature of 235 is reached. Remove from the heat immediately. Stir in the butter and the vanilla. Quickly add the pecans and vigorously stir for about 1 minute. Working quickly, drop by heaping tablespoonfuls onto the prepared cookie sheet. Allow to cool until set. 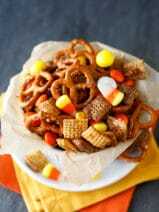 These look SOO good. My mom used to make something similar.